Most religions begin with questions like, “How can I find God?” Or “What can I do for God?” They offer guidance in becoming a more spiritual person or in doing things that will earn God’s favor. Christianity is different. Instead of beginning with instruction on what you can do for God, the Bible tells us what God has done for us. Instead of climbing our way up into Heaven, the Bible tells us that God came down from Heaven by becoming a man. That man is Jesus Christ who lived the only life that was everything God intended a human life to be. He then gave that perfect life as a sacrifice for our sin and rebellion. On the cross, Jesus took our death, our sin, our alienation from God and gave us life, righteousness and peace with God. By dying for us on the cross, Jesus defeated the dark powers of Satan, sin and death. This victory was made evident when He rose to life again three days later. This is the gospel (1Cor 15:1-7). It is the good news announcing God’s victory over evil through the death, burial and resurrection of His Son Jesus. He promises to share that victory with everyone who will trust and obey Him. The Bible teaches us the proper way to respond to God’s outpouring of grace and love. He asks that we believe in Jesus, trusting Him alone to be our Savior and guide back to God (John 11:25- 26). He calls for us to repent from unbelief of the gospel and sin, that no one should perish. (Mark 1:15; Acts 17:30- 31; 2 Peter 3:9). Instead of boasting in ourselves and what we can do, we are to confess that Jesus is Savior and Lord (Rom 10:9- 13). 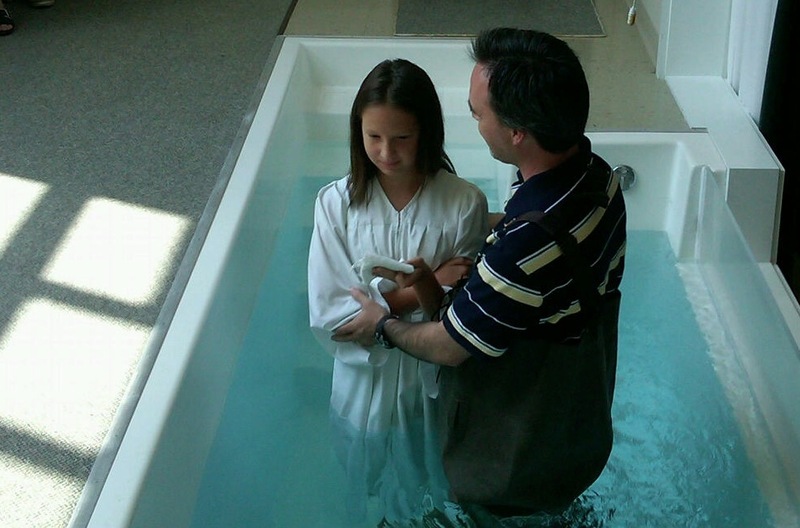 Finally, God bestows the promises of the gospel upon us by uniting us to Christ in baptism (Gal 3:26-27; Rom 6:4-7).